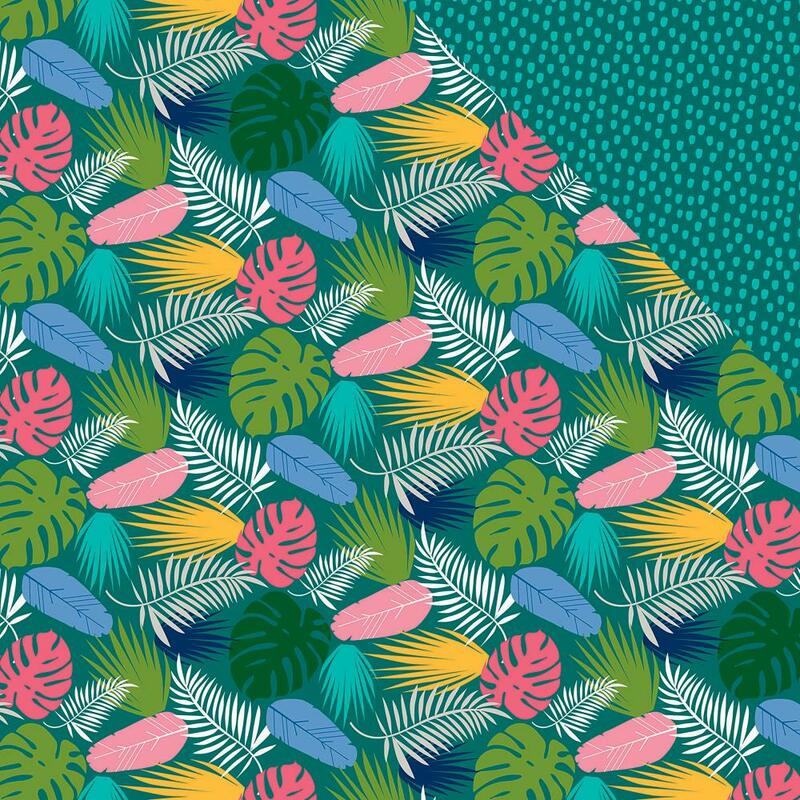 This 12x12 double sided paper has Colorful Bold Tropical Flora on the frontside while the reverse side has an Aqua Dot Tone-on-Tone. This Island Escape Collection is sure to make your Sun Kissed Tropical Memories warm any of your Craft Projects. Part of the Island Escape Collection by Bella Blvd. Look for coordinating Ephemera Die Cuts, Cardstock Stickers and selected Designer Papers.